<> The knife blade is made of high quality mirror polished stainless steel. It has a sharp smooth straight edge and a serrated edge. 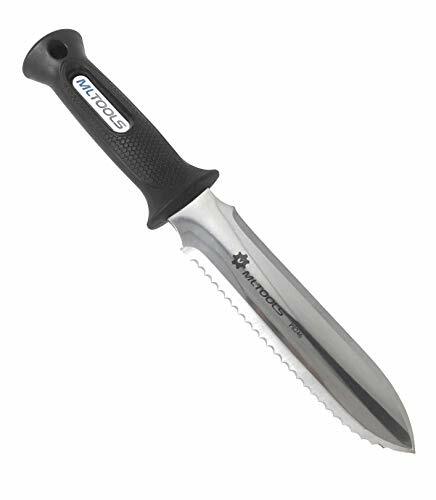 The serrated edge is great for cutting through tough roots, twine etc. The handle is contoured with a special textured finish for a firm grip that never slips. If you have any questions about this product by MLTOOLS, contact us by completing and submitting the form below. If you are looking for a specif part number, please include it with your message.